Fairy Tales - [many, many products are advertised on each page of this site] 49 annotated fairy tales, including their histories, similar tales across cultures, modern interpretations and over 1,500 illustrations. teacher lessons included. Folk Tales of Kids, by Kids, for Kids - a storybook created by young international story tellers! 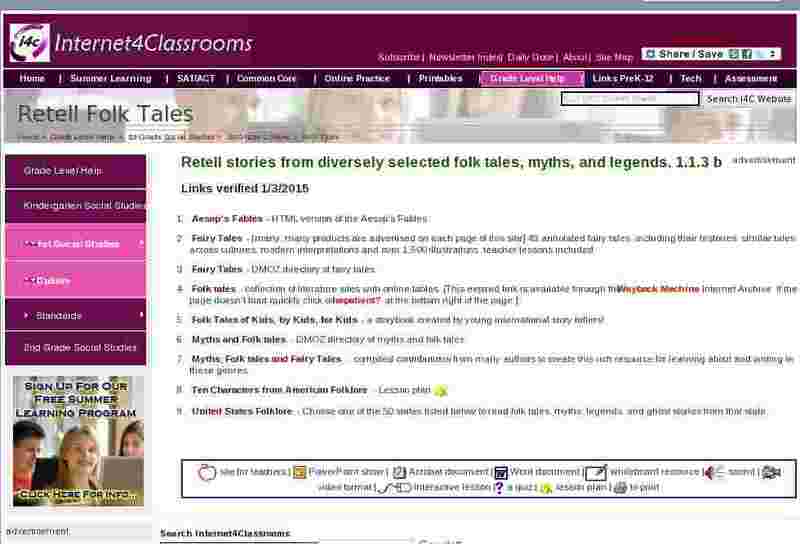 Myths, Folk tales and Fairy Tales - compiled contributions from many authors to create this rich resource for learning about and writing in these genres. United States Folklore - Choose one of the 50 states listed below to read folk tales, myths, legends, and ghost stories from that state.